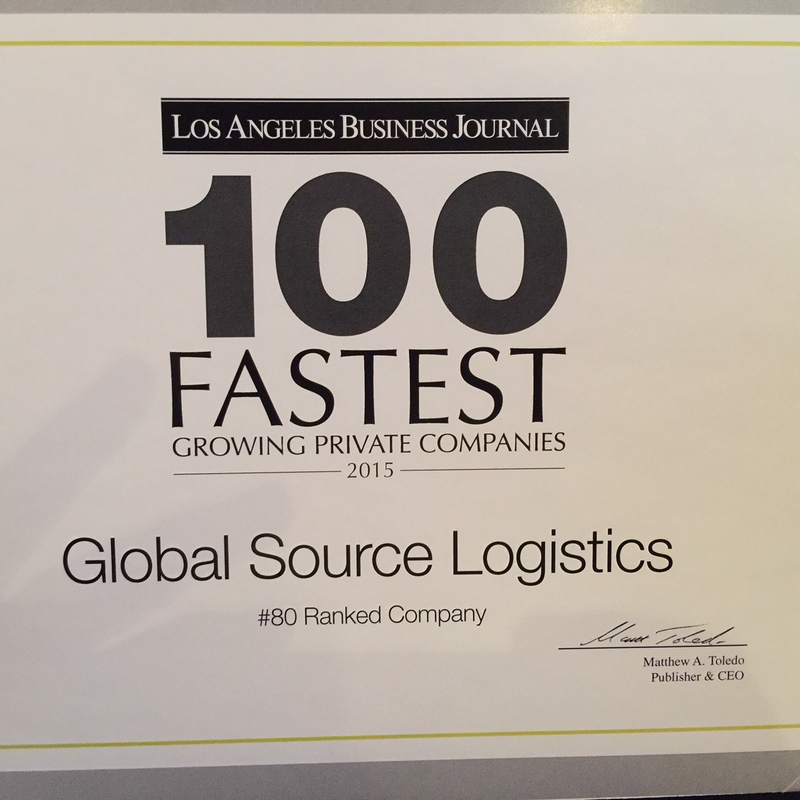 Global Source Logistics Named #80 in Los Angeles Business Journal's Fastest Growing Companies | Global Source Logistics, Inc. Global Source Logistics has been named one of the fastest growing private companies in Southern California by the Los Angeles Business Journal in its annual report. This is a significant accomplishment and should be an indicator of good things to come! To see the full list, please visit the LA Business Journal website.